Situated in the heart of Tel-Aviv's sea shore, the Prima Tel Aviv hotel is perfectly located to serve your every need and purpose. Tourists and business men alike may enjoy the hotel's fine facilities and amenities. 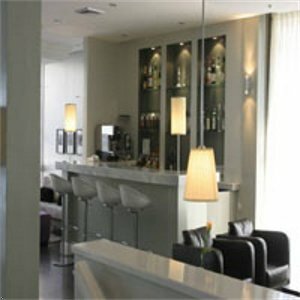 All rooms are fully renovated and redecorated as well as the new lobby and bar. In the proximity of the hotel you may find several of Tel-Aviv's finest restaurants and bars. The city's museums are only a few minutes by drive away as well as the old port which holds the biggest concentration of bars, clubs and discotheques in Israel. The hotel also hold one the finest Thai restaurants in Tel-Aviv; the Shangri-La restaurant. STANDARD ROOM W/ 2 TWIN BEDS OR 1 DOUBLE BED LARGE ROOM WITH LARGE WINDOW, WALL TO WALL CARPET. SOFT COLORS AND MODERN FURNITURE. COMPLIMENTARY COFFEE STATION, COLOR TV, SAFE, MINIBAR, BATHTUB/SHOWER, TOILET,BABY CRIBS UPON REQUEST, INTERNET ACCESS-WIRELESS&GROUND LINE(ADSL), TELEVISION W/REMOTE -CABLE,TEA-MAKING FACILITIES, FREE NEWSPAPER, AIR-CONDITIONED. From the airport, take Highway #1 northwest, follow road signs to Tel Aviv. Join Highway #2 (Ayalon). Turn off at Hashalom Junction (left) to Kaplan Street (west), to Diezengof Street, right to Rieness Street, left to Frishman Street, onto Hayarilon Street. From the airport, take Eshkol Blvd south (right) to Agnon Street, right to Hatarucha Street, continue straight onto Hayarilon merging into Herert Samuel Blvd, turn left at Opera Tower and reverse direction from south, returning north on Hayarilon Street until Frishman Street and hotel. * Shangri-La - Open noon-midnight, casual, Thai cuisine. .31 miles southeast to the property. 2.79 miles southwest to the property. Five meeting rooms are available for use, with an overall capacity of 50 persons.